Whenever people mention New York, what crops to the mind are landmarks like the Empire State building and Statue of Liberty. But did you know that there are actually quite a few halal places to eat in New York? You can dine at some of the fine eateries, food carts or even halal restaurants in New York while enjoying the sights and sounds. So, continue reading the article to find out more about all the halal places in New York. The halal guys New York is near to Hotel Pennsylvania and started out over 25 years ago as a humble Midtown hot dog cart but now has expanded to over 14 cities from Chicago to even Jakarta, Indonesia. Their halal certified outlets are well known for their gyro and chicken wraps and platters. You can also order side dishes such as hummus, falafel, baba ganouj and fries. 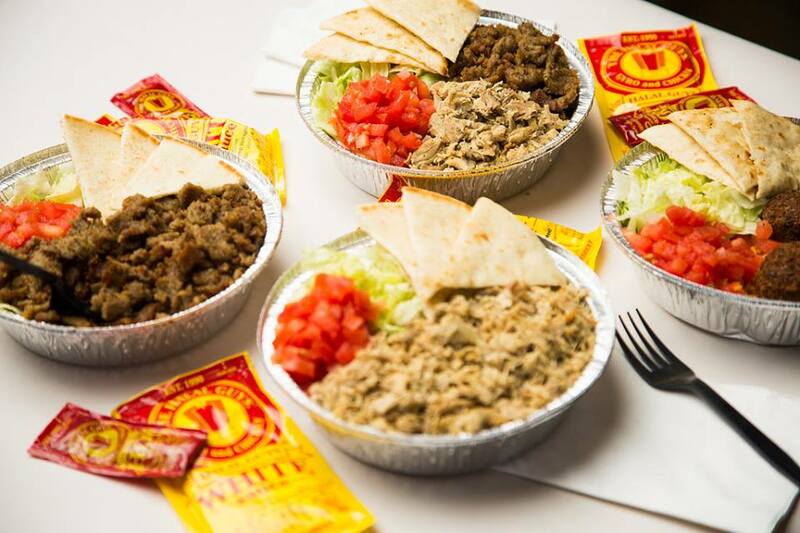 The signature dish of the halal guys is definitely their mixed chicken and gyro topped on rice and a generous serving of their world-famous irresistible white sauce. Despite the endless line of customers, their service is prompt and efficient so you can rest assure that you will be served in no time. The next time you are staying at Hotel Pennsylvania and are around the corner of West 53rd Street & 6th Avenue and feeling hungry, do make sure you drop by the halal guys New York to give yourself a treat and satisfy your appetite. This burger joint is near Hilton Garden Inn NYC Financial Center/Manhattan Downtown and owned and managed by Honest Chops, a halal butchery that is based in Greenwich Village. 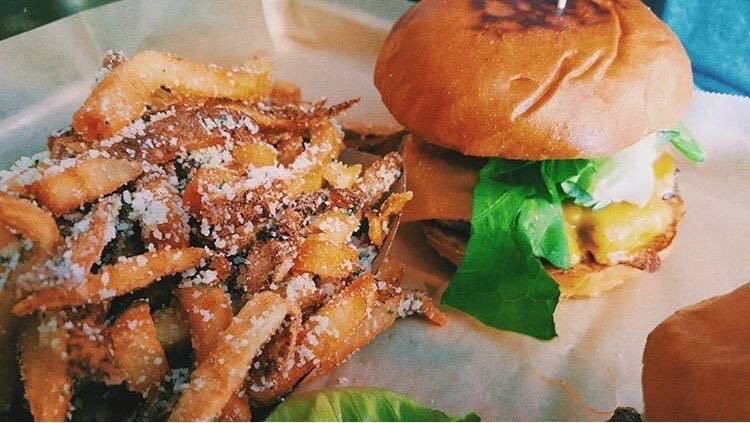 The meat used in their burgers are organically raised – their beef and lamb are pasture-raised and grass-fed and there are no steroids, growth hormones, arsenics, or antibiotics used. They also guarantee that their meat is slaughtered according to Islamic laws. Their burgers are simple yet pack a mean punch in the taste department. You can choose from three main types of burger – The Classic, Lamb Merguez and Spiced Chicken. The Classic is made of organic beef burger and housemade lemon aioli. The spicy Lamb Merguez consists of their signature organic lamb merguez and housemade lemon aioli as well. The Spiced Chicken is filled with whole spices seasoned grounded chicken and housemade chipotle aioli. 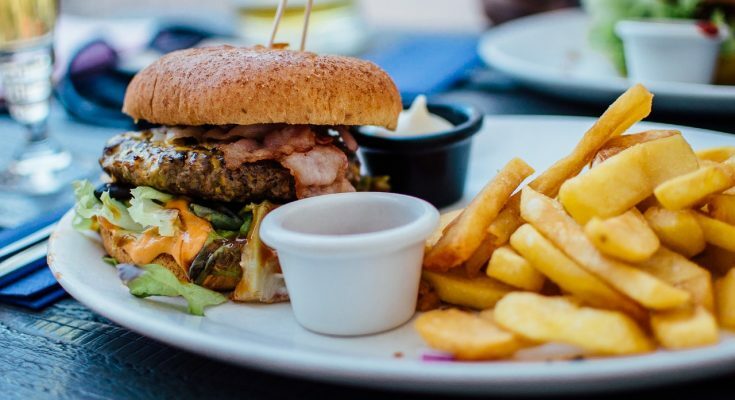 In addition to the fillings mentioned earlier, each burger comes with one third pound of meat topped with onions, tomatoes, lettuce and pickles. For sides, you can choose from either classics fries – hand cut fries tossed in sea salt – or truffle fries which consist of hand cut fries tossed in truffle salt, parsley and parmesan cheese. 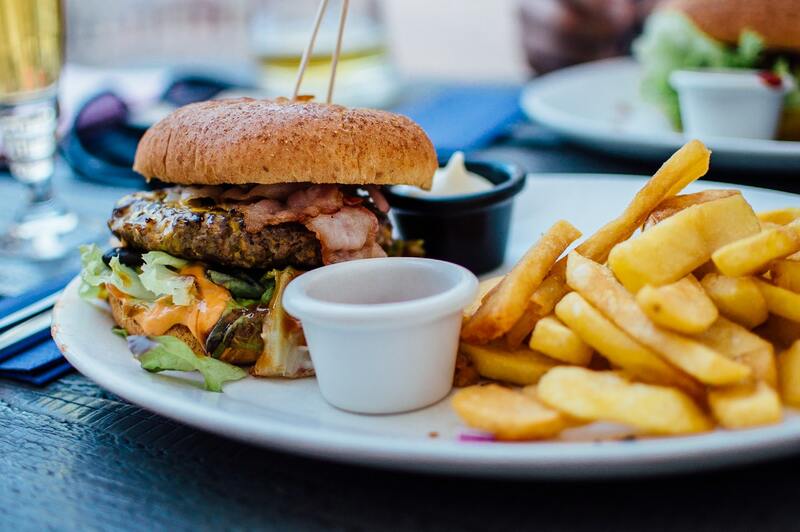 So remember to stop by Burgers by Honest Chops to get your burger fix next time you are staying at Hilton Garden Inn NYC Financial Center/Manhattan Downtown in New York.